今日は「冬至 (touji)」 (Today is “winter solstice”). Click here and read the post I wrote five years ago about the Japanese traditions on this day (there are also some videos I took in a traditional area of Tokyo). I don’t remember most of the lesser known American holidays, so correct me if I’m wrong. But, as I remember, in America there are some spring customs but no legal holidays. First, February 2 is “Groundhog Day” in America. 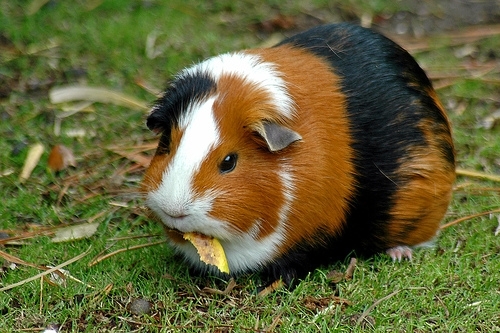 Not to be confused with 「モルモット」, which means “guinea pig” in Japanese. 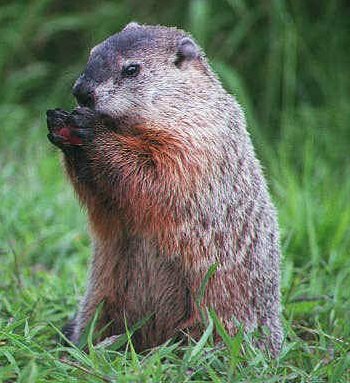 In America, on Groundhog Day people watch a groundhog to see if he leaves his burrow or not. If he does, that’s supposed to mean that spring will start soon…if he returns to his burrow after sticking his head out, that means the cold winter weather will continue longer. At least that’s how I remember it. It’s an odd custom. April 1st is called “April Fool’s Day“. On this day in America, people play practical jokes on each other…if someone falls for one of these practical jokes, then he’s labeled a “fool” for the day–the “April Fool“. Also Easter, I believe, is on the first Sunday of April. This is a religious Christian holiday. Many people in America, Canada (and maybe some European countries too) paint Easter eggs and “the Easter Bunny” gives baskets of chocolate to children. School students get a week or so “Spring Break” holiday from school…but it’s not the end of the school year yet (as it is in Japan). Summer Break is the end of the U.S. school year. In Japan spring is different. Here, the school year ends in March and begins after spring in April. Students in Japan who will be starting high school or college must take Entrance Exams. (My second daughter passed her Entrance Exam and will be starting high school next month). 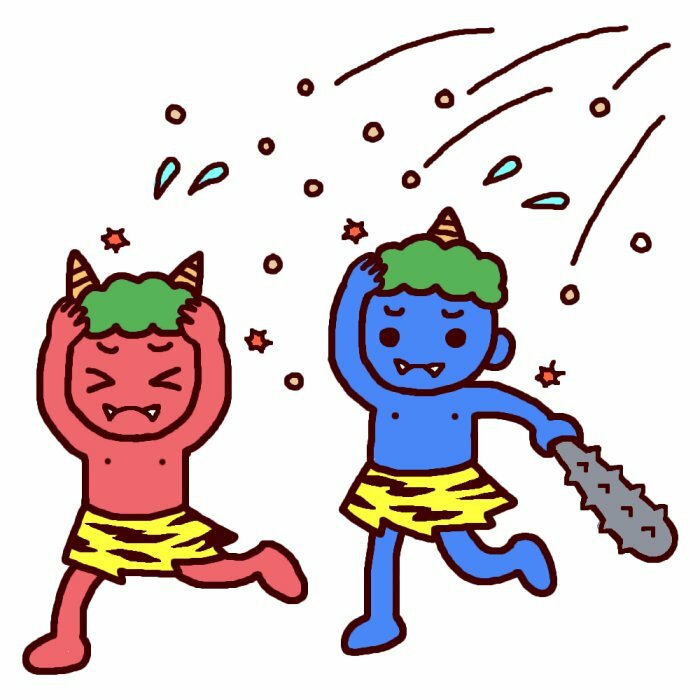 At almost the same time as Groundhog Day in the U.S., Japan has Setsubun on February 2nd every year. In March, Japan has Doll Festival on March 3rd, and White Day on March 14th (tomorrow). But those aren’t legal holidays (I mean, they’re not days off). But around March 20th is 「春分の日」 (Spring Equinox) is a legal holiday. This year, Spring Equinox is Sunday, March 21st…so it’ll will be observed the next day—Monday, March 22nd will be a day off. Many people visit their family grave on this day. A big holiday season in Japan occurs in spring. It’s called “Golden Week“. Golden Week is technically May 3rd – May 5th (「憲法記念日」 (Constitution Day), 「緑の日」 (Greenery Day), and 「子供の日」 (Children’s Day) respectively)…but often 「昭和の日」 (Showa Day), which is on April 29th, is included. So, some people get Golden Week holiday from April 29th – May 5th. 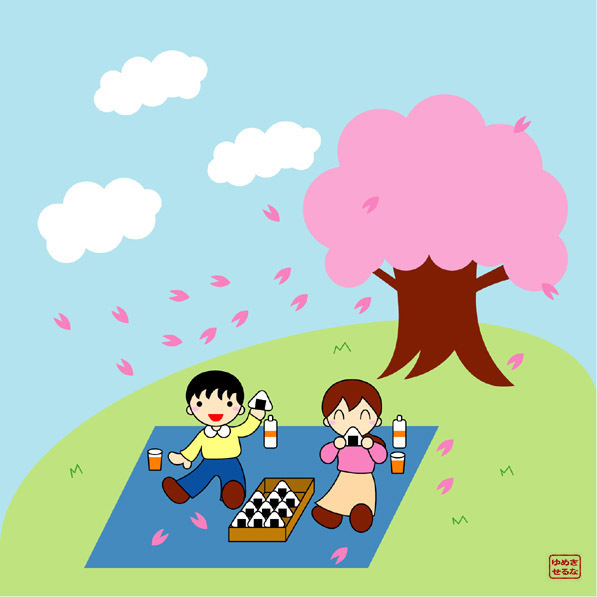 And, of course, a very important springtime custom in Japan is 「花見」 (Cherry-Blossom Viewing). Japan has a reputation for having extremely expensive fruit. You can see people talking on the internet about $100 watermelons and $40 apples in Japan. This is true. You can find fruit sold for those prices in Japan…but it’s not the normal case. Usually fruit is sold at normal prices here. “So, what’s up with the overpriced fruit?” you may wonder. Those are premium fruits sold to be given as gifts. The best fruit of the season to give someone on a special occasion. 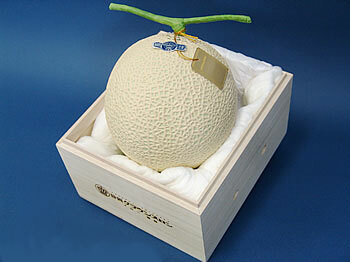 This gift メロン (melon; cantaloupe) sells for 一万円 (¥10,000 (US $90)). A premium cantaloupe (melon), like the one in the photo above, or apples, pears, tangerines, grapes, peaches, or almost any other fruit can be found priced at about ¥4,000 – ¥30,000 (US $35 – $280) in Japan. As I mentioned, these fruit items are given to people on special occasions. Of course, people normally eat “regular” fruit, which can be purchased from the supermarket or a fruit stand at normal prices. There are many occasions to give gifts in Japan. When you move into a new house, you give a small gift to your neighbors and introduce yourself (as opposed to the custom in America that is the other way around: people there give the new neighbor a gift). When you go to a wedding or funeral in Japan, you give a gift of money in a special envelope. New Years money to children. When visiting someone (at their home, in a hospital, etc). At the start of a new season (beginning of Summer, Spring, Winter, Autumn), people often give friends a special gift box of coffee, beer, soap, etc. At birthdays and Christmas, of course. When someone does something special for you. To “repay” someone who gave a gift to you. When you return from a trip. There are other occasions that Japanese give gifts…these are just some of the common ones.